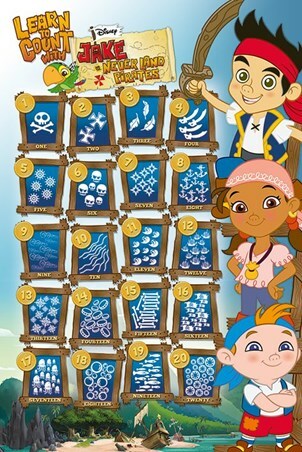 Educational Maxi Poster: Learning to count can be a tricky business so it's a good job that the characters Jake, Izzy, Cubby and their parrot Skully are here to help you! 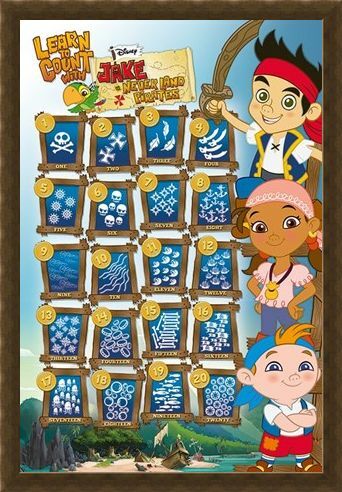 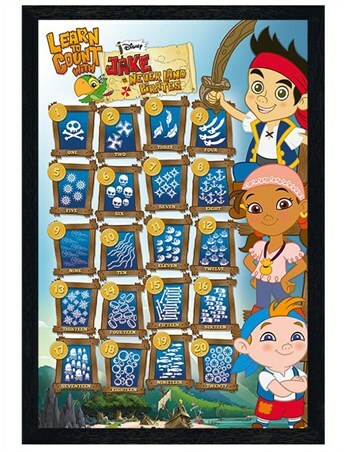 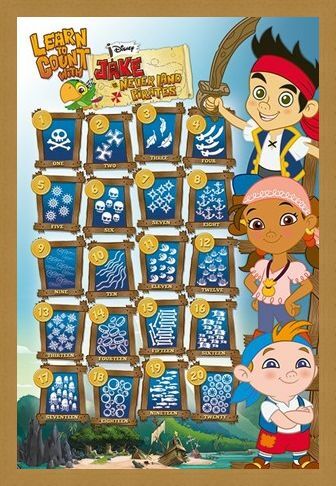 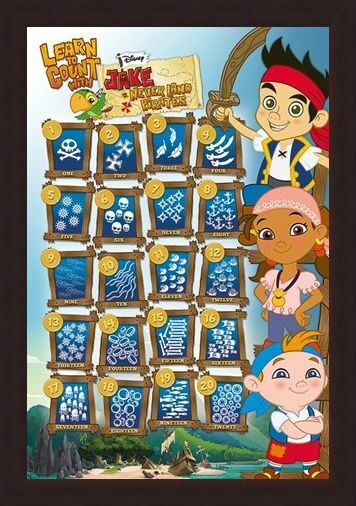 This poster orientates around the immensely popular children's television show, James & The Neverland Pirates, which was released by Disney Junior in 2011. 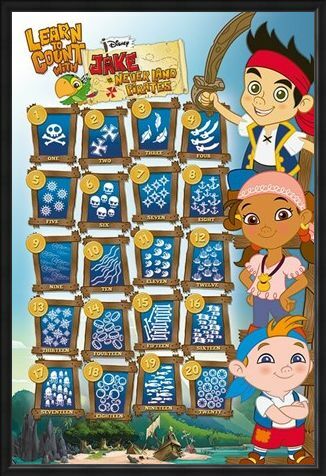 If your little one is trying to master the basics of mathematics, then this poster is a great way to improve their skill and keep their thirst for knowledge strong. What better way is there to learn how to count numbers then with the aid of this awesome poster! High quality, framed Learn To Count, James & The Neverland Pirates poster with a bespoke frame by our custom framing service.